What Vegetables Are Early Garden Vegetables? 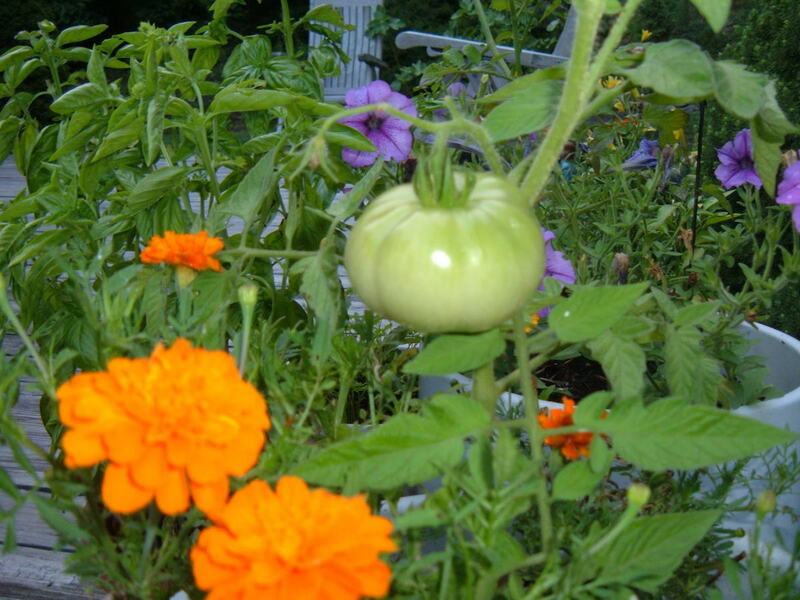 Much of the success in planting a successful vegetable garden, is knowing what to plant when. You can have a great garden spot with plenty of sunlight and nutrient rich soil that is powdery soft, but if you don’t know what vegetable plants to plant when, you are not going to have a successful garden. Certain plants you can plant too early and they will not tolerate the cooler weather. Even a light frost can “burn” some tender sprouts and kill the plant. Other plants you can plant too late and they will not tolerate the warmer temperatures and will burn up before they mature. After 25 years of planting a garden, we have learned a few things that I hope will help the beginning gardener. Here is my list of early garden vegetables, the first vegetables to plant in your vegetable garden. One of the first things I plant in my garden is garlic. Garlic tolerates cooler weather very well. Garlic can be planted in late February and early March in many zones. In northern zones you can plant garlic in the fall and let it come up on its own in spring. I will have some garlic plants come up on their own each year. If you use a lot of garlic when when cook, this is a great vegetable to plant in your garden. 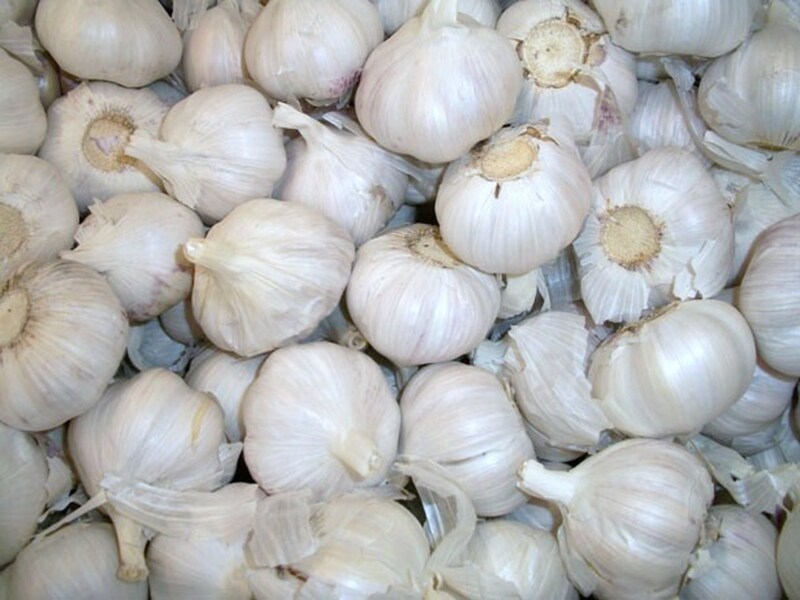 Garlic is grown from individual cloves. One clove will produce one plant, or bulb, with numerous cloves. You plant the cloves, pointy end up, about 1 inch in the ground and about 3-4 inches a part. You will know when your garlic is ready to harvest, as it will bloom, a small blossom with many tiny little white flowers. Once the bloom has faded, it is time to dig up your garlic. 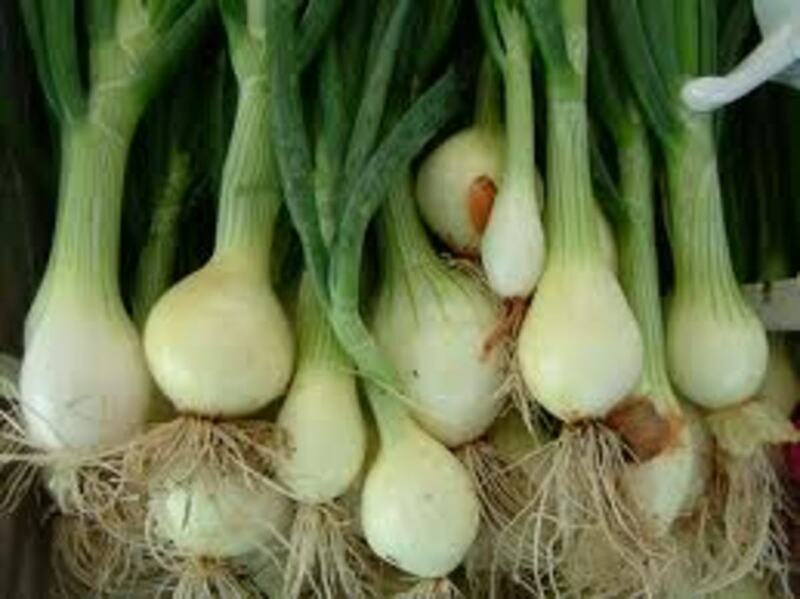 Onions are another vegetable than can tolerate the cooler days of late winter or early spring. We plant out onions as soon as the weather starts to warm up a little. We use onion sets when we plant our onions. These are very young onion plants that you will find in many stores about the first of spring. They are very inexpensive and will just give you a jump-start on your onion crop. You probably won’t be able to find onion sets until early March, the sooner you can plant them, the better. Place the young onion in the ground about 1 deep. You will want to place them about 4 inches apart. Many people eat what we call “green” onions. These are nothing more than young onion plants. I love green onions and like to serve them with many of our meals. We plant extra onions every year so we will have plenty of early “green” onions to eat. You will know when you regular crop of onions are ready to harvest as the stems or leaves of the onion plant turn yellow and will fall over. It is then that you want to dig up your onions. Spinach is a great vegetable, whether it is eaten raw in a salad or cooked as a side dish. It is packed with vitamins and nutrients. Spinach loves cool weather. Just as soon as the last hard frost is over is when you want to plant your spinach. Sow your seeds just under the surface, as the seeds are very small and if they are planted too deep, they won’t come up. You can sprinkle the seeds lightly in a row and just cover them with the soil. Once they come up, you will probably need to thin them out. If you leave them too crowded, they will be fighting for nutrients. 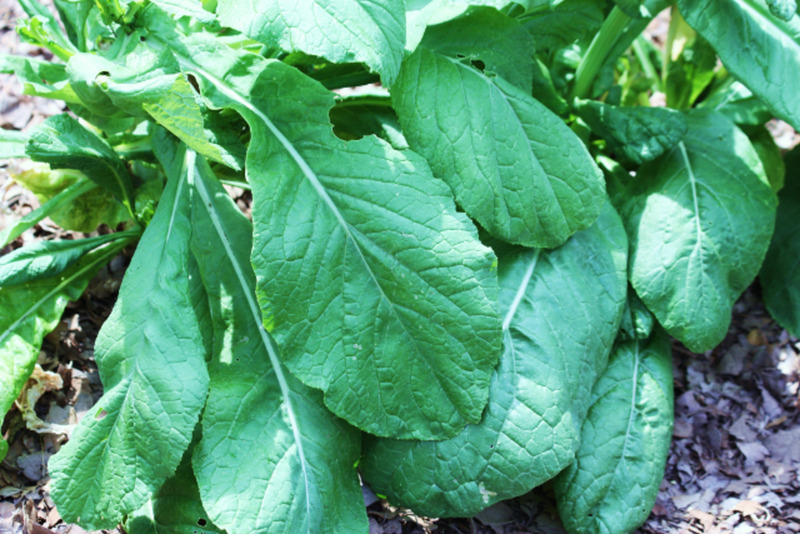 You can pick the leaves for salads once they are about 2-3 inches long, while they are young and tender. As the leaves get larger, the veins in the leaves will start to become a little tough and the taste will become a little bitter to eat raw. Once the leaves are larger, you can strip the veins from the leaves and cook them with a little bacon or ham and they are delicious. Once your spinach starts to bloom, it is usually going to be too tough and bitter to use. That is when I like to dig it up and re-sow the seeds for a fall crop. Other leafy vegetables such as lettuce, kale and cabbage are also cool weather vegetables. Potatoes are another early spring crop. We plant what is called “red” potatoes or “new” potatoes. They make the best potato salad you have ever eaten! 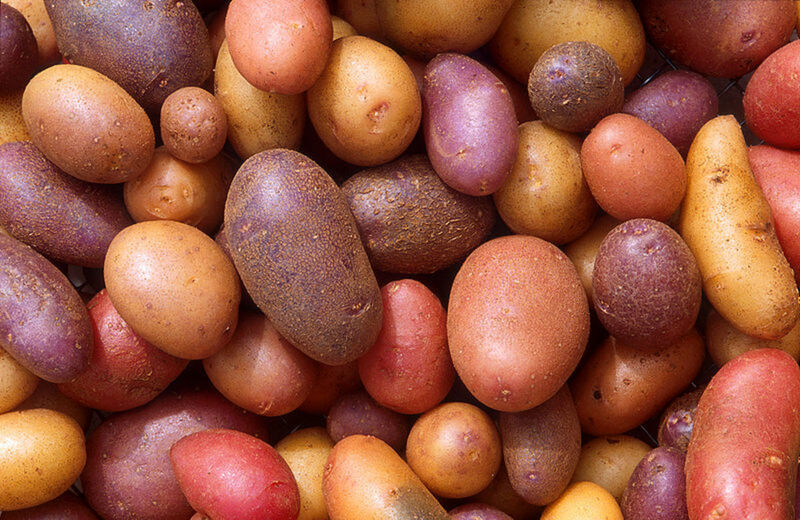 You would want to plant any variety of potato around the same time. 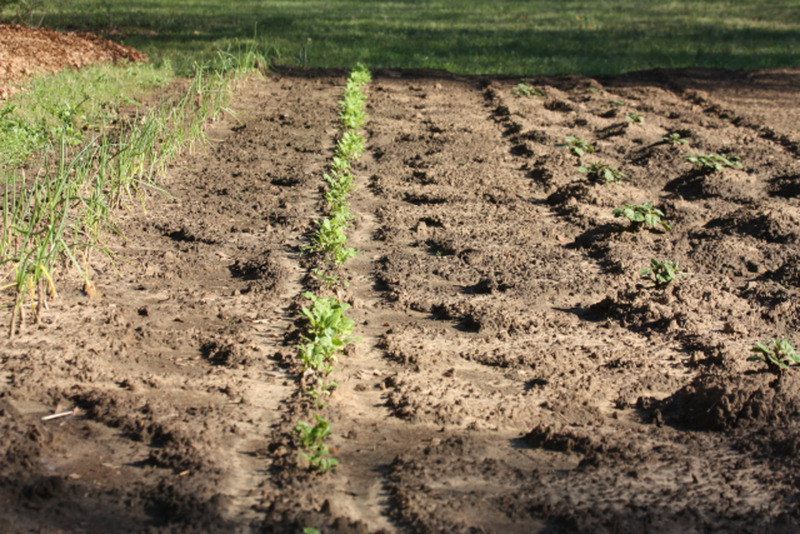 We plant our potatoes at the same time we plant our garlic, onions and spinach, late February or early March. We buy “seed” potatoes and cut the usually in thirds. You want to have at least 1 – 2 “eyes” on the piece of potato that you are going to plant. The eye needs to have a little sprout coming out of it. 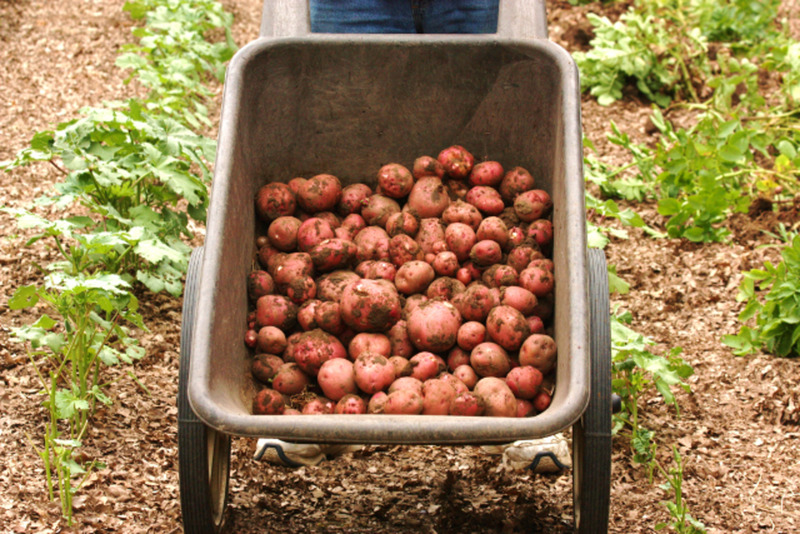 Place the chunk of potato in the ground about 1 ½ -2 inches deep with the eyes pointing up. Mound the dirt up over the piece of potato and pat down. Potato plants grow very quickly and will bloom before anything else. Once the blooms on the plant have faded, it is time to dig potatoes! Be careful so as not to cut the potatoes with the shovel or pitchfork. Once you have loosened the dirt, pull up the entire plant and shake of as much dirt as possible. You will find potatoes hanging from the bottom of the plant. Also scratch around in the remaining dirt in the hole, as you will probably find potatoes hiding in there too. Carrots are another cool weather tuber. I, personally have not tried to grow carrots, yet. 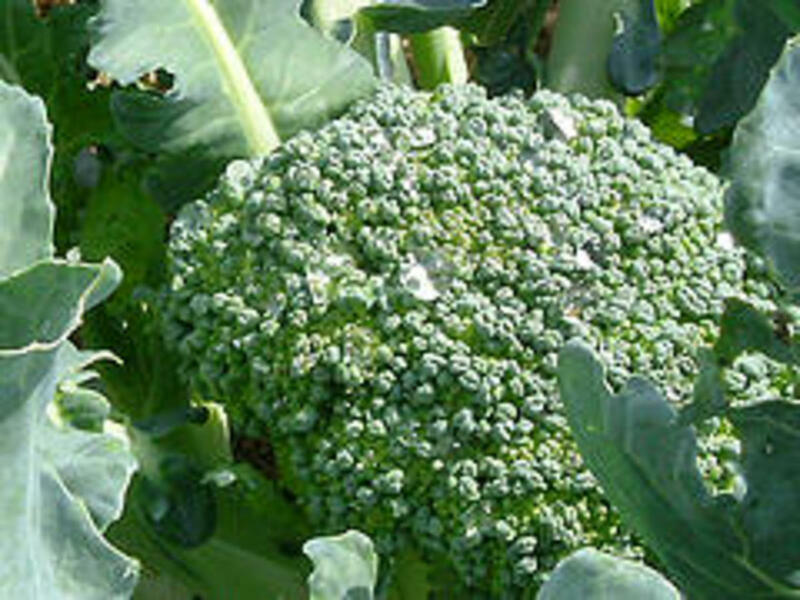 Broccoli and cauliflower are sometimes referred to as cool weather vegetables, just be sure that the danger of frost is past before you plant them. I hope my information on what are the best vegetables to plant first in your garden is helpful. This information is based on my personal vegetable gardening experience. 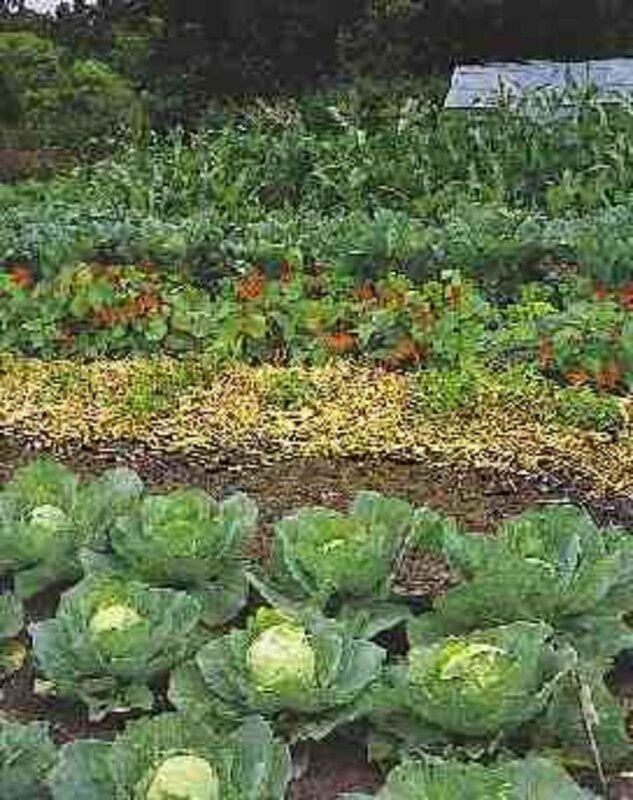 Do You Plant a Vegetable Garden in Spring? Fresh vegetables not only taste better but are also much better for you. Plant these easy to grow vegetables to eat healthier and save money on your grocery bill all year round. Your garden looks beautiful! I can't wait for spring and fresh vegetables. Thank you for this information. I wish I had a huge garden space like you obviously have. I loved gardening on our 1/4 acre lot in Wisconsin. There are some photos of it in the hub I wrote about our Wisconsin Rapids home and backyard organic gardening. I did just plant some spinach and black seeded Simpson lettuce seeds in some small areas in between some flowers and herbs plus some tomato plants for my Fall garden. But we are talking minuscule compared to your lovely garden. I have to pick and choose what will grow carefully because of space considerations plus that which gets enough sunlight. Enjoyed reading this! Up votes and sharing. Thanks for the info I'm still trying get this gardening thing down. I love gardening and you have useful information about gardening these vegetables. That's what we called true vegetables. Very informative hub and I can't wait to share this hub with my father. Thanks for writing and share with us. Rated up (useful, awesome, beautiful and interesting). Take care! It is so good to see that something is growing in your garden! It is a great inspiration and I look forward to soon get my hands in the soil:) I just wish I had planted some garlic last fall, somehow I forgot about it. Thanks, your garden looks great! Nice looking garden you got there gal! No peas? I love my peas, and so do the bunnies. Happy Gardening! As always Shelia writes interesting useful articles. Garlic and okra yummy!! Makes for a great Gumbo.You can't ever have to much garlic on hand for winter.I put it in everything I can think of.I've always got our health in mind just has Shelia does.Thanks Shelia I know you are very busy but keep writing those wonderful topics. You too. My daughter used to pull them up, run the hose over them and start crunching on them. Good, useful information. Carrots are very easy to grow and you will want to plant them often. They will keep growing into later Fall. I dig them up when they are small and have the baby carrots. I also leave some for later for the larger carrots. If you plant them every 2-3 weeks, they will keep you supplied with fresh carrots.